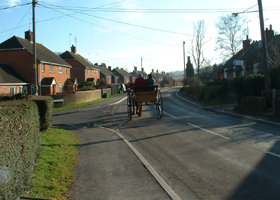 Cranborne & Edmondsham Parish Council is a joint council covering the village of Cranborne and the hamlet of Edmondsham in Dorset. 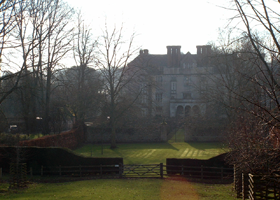 Cranborne Manor is the Dorset home of Viscount Cranborne, the eldest son of the 7th Marquess of Salisbury. The 16th century Manor House has exceptionally beautiful gardens, laid out by the 17th century gardener John Tradescent, which are open to the public every Wednesday during the summer season. On the outskirts of the grounds there is a flourishing garden centre and tea rooms that are open all year round. The Church of Saints Mary and Bartholomew is Norman in origin and built on the site of a Saxon Benedictine Monastery. It has an eight belled perpendicular tower. The village boasts such amenities as a village hall, village stores & post office, Doctor’s surgery, veterinary practice, WVS charity book shop, an outstanding first school and middle school. It also has No 10 Castle Street, a boutique hotel and private members club, La Fosse Restaurant with rooms, 2 public houses, The Sheaf of Arrows and The Inn at Cranborne, and is also home to the award winning Sixpenny Handley Brewery situated at Holwell Farm on the outskirts of the village. Cranborne is also the home of the Ancient Technology Centre which has a magnificent Viking longhouse. 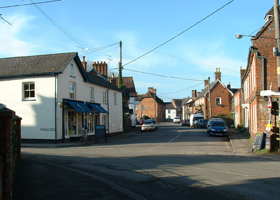 Edmondsham is a small village a little over 1 mile south of Cranborne. Famous for it’s gardens, Edmondsham House is a fine Tudor Manor that has been in the same family since the 16th Century. The house and gardens are open to the general public every Wednesday from April to October. It is built on the site of a former Manor which is mentioned in the Doomsday book. Across the lawn in front of the house is the Churchyard to St Nicholas Church. This small but pretty Church was dedicated to St Nicholas in 1644 and although the date of the foundations is unknown, the square stone pillars that separate the Nave from the North Aisle appear to be dated from the 12th Century. The village pump constructed in 1884 was the main source of water for the villagers. The listed housing structure was designed by Anthony Medleycott in the 1930’s. The pump went out of general use in the 1950’s due to the modernisation of the village houses. There was formerly a post office, a school, a Rectory and a Methodist chapel in Edmondsham but these have all now disappeared or have been converted to residential properties.